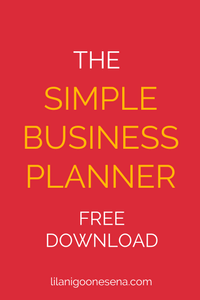 My Simple Business Plan is especially designed for freelancers and small business owners like you. You want to work hard AND enjoy time off too. Spend time with family, travel, cook, garden, read, do hobbies... and work on your own business. Check out my post on a fearless work-life balance and download your FREE Simple Business Planner to start making this your reality!